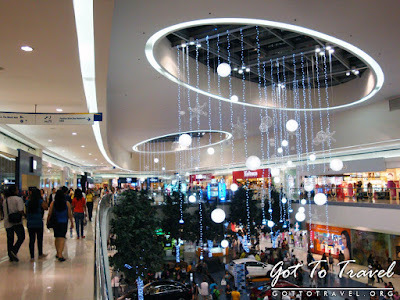 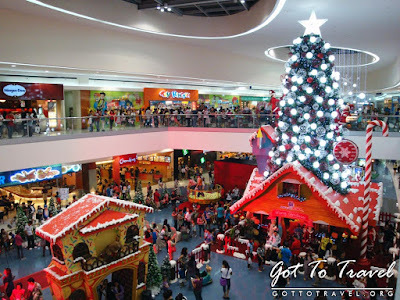 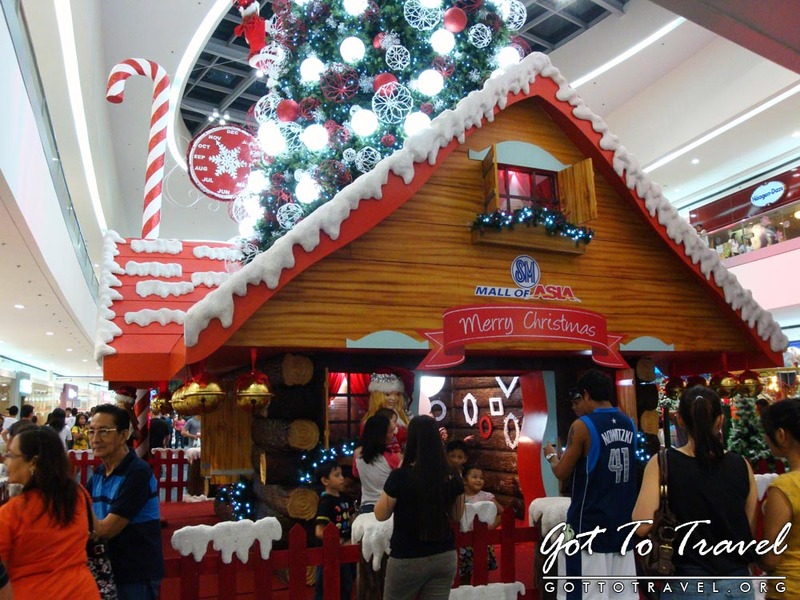 SM Mall of Asia has one of the best Christmas celebrations. 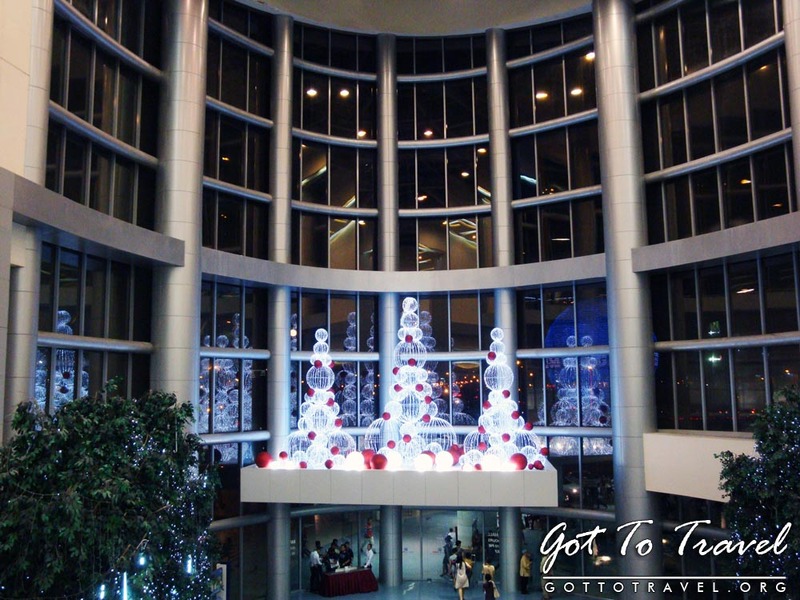 They had the SM Christmas Winter Wonderland in their grand atrium where tourists and mall goers had a real snowy winter experience. 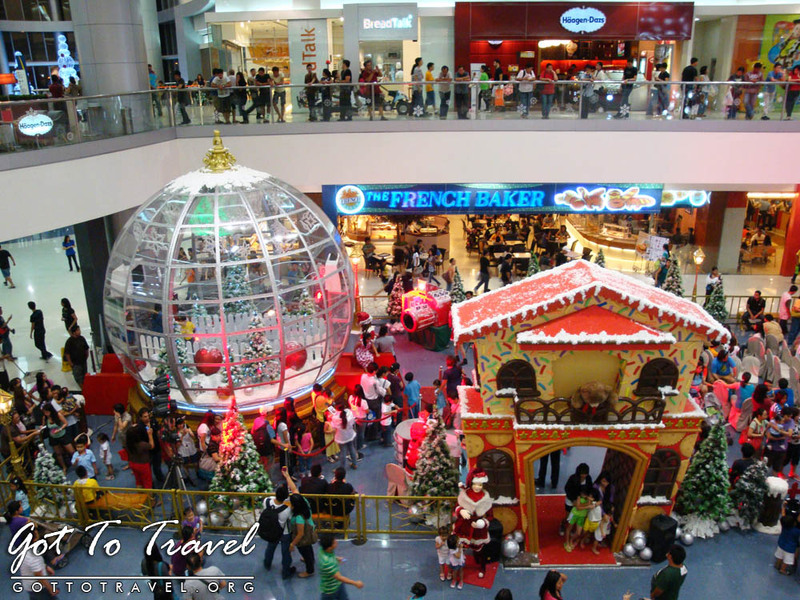 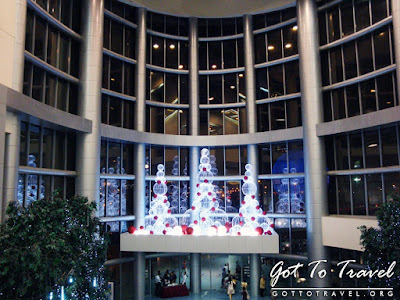 SM Mall of Asia placed a giant life size Snow Globe in the grand atrium. 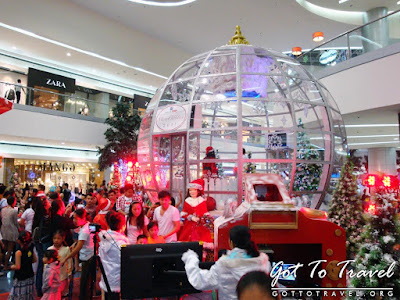 Filipinos really loves snow, that's why lots of people were lining up just to get a little snow experience. 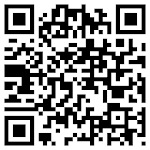 You can also have your picture taken beside or inside the snow globe. 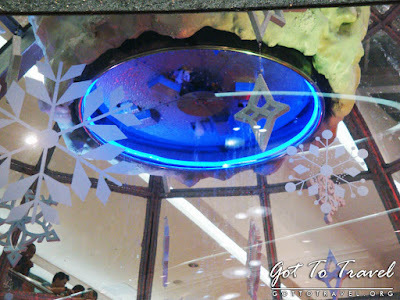 The snow machine was not really that big, it produces just the right snow that would make any child happy. 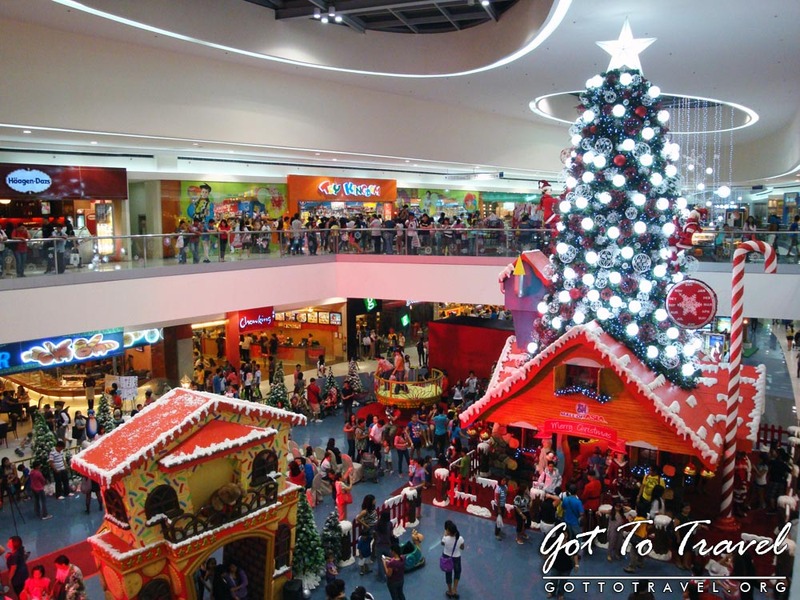 The winder wonderland also had a giant Christmas tree and kids were also able to meet Santa Clause. Although SM Mall of Asia's winter wonderland is awesome, can't say much with their other Christmas decorations.